We are motorcyclists that participate in socializing, fellowship, and of course, riding motorcycles. We are a chartered club of BMW MOA, but all riders and all brands of motorcycles are welcome. 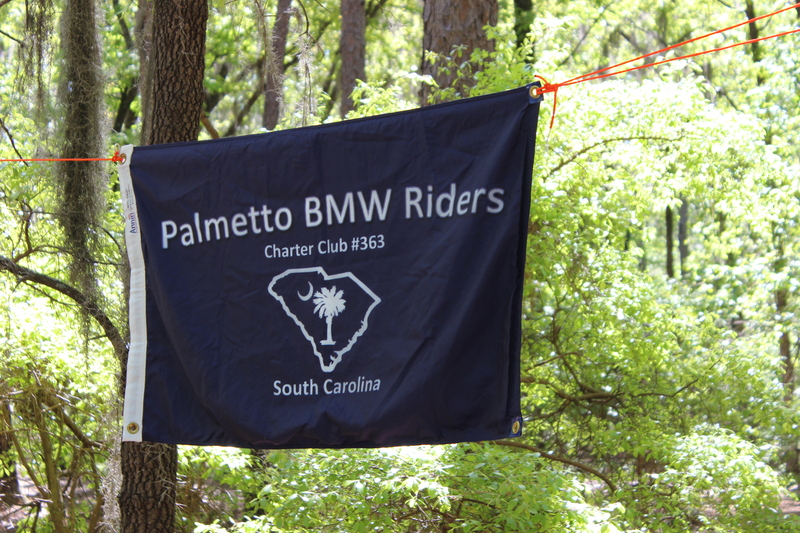 Our activities include group rides, a “Tour of South Carolina”, a club swap meet, club camping and other events. We stay on top of our game by participating in club training events. We have an annual family picnic and support ‘Toys for Tots”. Lawson and Lois McLeod were active in motorcycling, going to rallies and events near their home and across the country. They got to know many riders from the area, often riding with or meeting them at these events. Legend has it that Lawson would sooner or later bring up the subject of starting a BMW-MOA chartered club in the Columbia, SC area. In October 2013, Lawson and Lois invited all the MOA members in South Carolina to their home for a cookout. This was the beginning of MOA Chartered Club #363. With Lawson and Lois at the helm, we started to develop and shape as a club. We had approximately fifty members and we had volunteers for Club Chaplain, Ride Captains and such. Before the club’s first anniversary, Lawson died unexpectedly. At the time of Lawson’s death, we were still growing our roots. In all clubs, there is the core of the group. The members who show at the meetings, rain, sleet or motorcycle in the shop. And we had them. We also had Lois. After Lawson’s death, Lois stayed on as Secretary/Treasurer of our club. Secretary? Treasurer? She did it all. Lois continued to lead the club for four months, until the first of the year, when we elected new officers. At that time, the VP became President, a new VP and Treasurer were elected, and Lois stayed as Secretary. Lois has taken members ideas, and put her heart, soul and organizing skills to turn them into events. Of course, she has plenty of experience in that field, she used these same qualities to help initiate and build our club. Over the years, our club annual activities include family picnics, camping, rider’s training, swap meets, grand tours and Toys for Tots. Every September we have a ride in memory of Lawson. The recipe for a strong club is to get as many members involved as possible. But every club needs a Lois. She has made the reservations, got the permits, cooked and served the meals, and whatever else was needed. Lois has stepped away as an officer in our club because of work obligations. The club continues today as Lawson & Lois envisioned in October 2013.